Rely on CRANE 1 Professional Overhead Crane and Hoist Inspections — for Safety’s Sake! 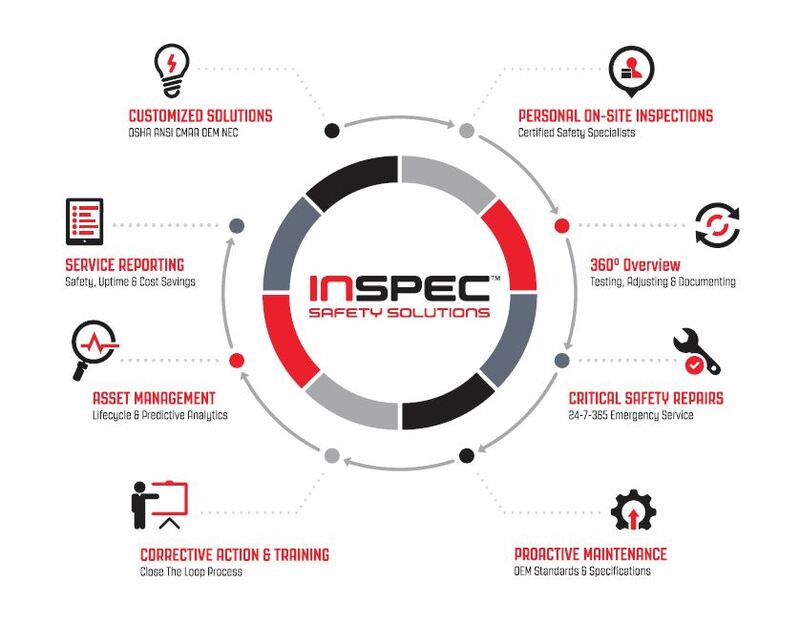 Our InSpec Safety Solutions include comprehensive safety and compliance inspections, assessment of the operating condition of your crane, proactive maintenance and operator training. CRANE 1 Safety Specialists gather all information, perform a detailed safety and operational inspection, and provide customized close-the-loop recommendations for repairs or preventive maintenance of your equipment. We provide real-time reporting and give you a working plan that includes required critical actions and best practices. Overhead cranes and hoists are potentially dangerous when there are unknown or unrepaired structural, mechanical or electrical deficiencies. To ensure safety, only experienced and properly qualified professionals with training to understand specific design, function and repair requirements shall undertake crane and hoist safety inspections, maintenance and repairs. Our inspectors are trained mechanics and electricians who have the skills and knowledge to correctly identify and fix safety and operational problems present in your cranes and hoists. You can rest assured that our InSpec Certified Crane Safety Specialists exceed the requirements of CMAA Specification 78 as well as our own rigorous standards. Properly performed load tests ensure that your equipment is in proper operating condition for safe operation. Documented proof load testing must be carried out on every crane per the requirements of OSHA and ANSI. At CRANE 1, our inspectors and technicians perform thousands of load tests annually using certified weights, water weights and certified scale/available weight. We execute load tests on equipment with capacities from one-quarter ton to well over 100 tons. Generally, the equipment is tested to 125% — per the requirements of OSHA 1910.179. The time required for each course depends on the number of students and variety of equipment covered during training.